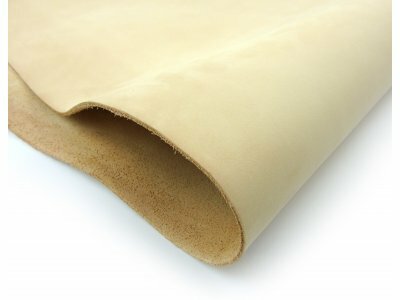 The crust leather is a raw leather material, usually vegetable tanned, that can be used both in the natural version or dyed by hand to obtain special and beautiful effects. Crust Leather and Raw Leather Hides There are 19 products. Originally the term “crust leather” referred only to the hides that were tanned and dried without a complete fattening, dyeing and obviously a finishing touch. These skins, which often were cow crust, sheep crust or goat crust hides, were mainly processed with the traditional method of vegetable tanning, and then they were immersed briefly in a tub before undergoing a re-tanning process, fattening and If necessary dyeing in barrels. Finally, thanks to finishing processes, this material took on the appearance and characteristics that we all know and appreciate on the final products. 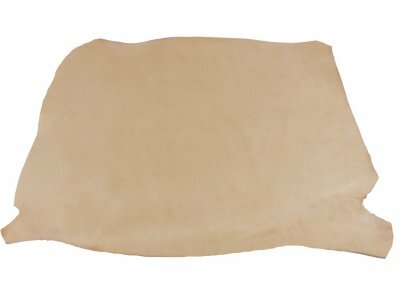 Therefore, for crust leather it was meant a leather simply pre-tanned in wet (hence the names: "Wet-Blue" and "Wet-White") which, however, had already absorbed a large amount of tanning materials leading to raise its commercial value. 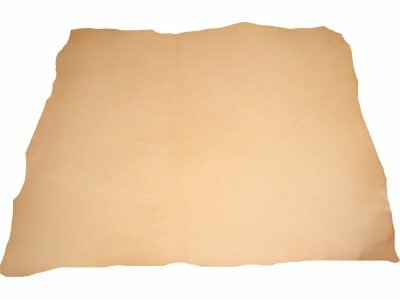 The price of this intermediate product, still marketed today, also took into account the fact that the cost of a subsequent re-tanning would have been cheaper, as it was a material in an advanced state of production, the quality of which was (and is still today) immediately appreciable and evaluable unlike the raw leather hides with hair, which usually just come out of the slaughterhouse are put under salt to allow its preservation. The current meaning of crust leather revised by extension with respect to the previous historical reference, today commonly includes every type of leather where the wet processes are completed (i.e. all those that take place in the drums) and which are only to be submitted to refining mechanics works, such as: palisoning, trimming, grinding (both on flesh side and grain one), varnishing and nabuccatura (the partial removal of the grain in much lighter way than grinding) or even immediately ready for the final finishing process. Another case of crust leather concerns the vegetable tanned raw leather hides ready to be worked. 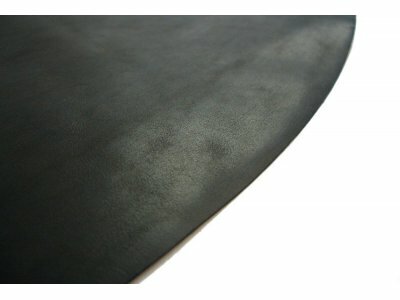 This leather raw material can be used both in the natural version and in the dyed in barrel version without finishing, as well as finished. 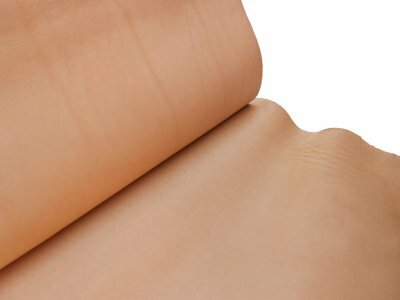 The vegetable leather, especially if fattened with tallow or with sulphonated fat liquors, can already be considered "beautiful" as it is, because of its very natural appearance. Eventually, during the sale phase, it can be equalized and sanded or only shaved from the flesh side and possibly ironed or rolled in order to polish and uniform the grain. The end user can find in the veg crust leather an ideal companion for his creations and engravings and can also proceed with the dyeing, either by hand or by immersion. In the first case, using the technique by hand, it is possible to obtain beautiful effects of aging through variations in tonality. In the second case, with the technique of immersion, homogeneous colors are obtained thanks to the use of cylindrical containers containing suitable products and dyes. The latter technique is usually used for thick leather already cut into strips in the production of belts. The best leather to be used for the production of handmade shoes is definitely the crust leather: this raw leather, in fact, is mainly used by shoe-makers and industry enthusiasts, who, thanks to their inventiveness and a skillful polishing technique, when producing the shoe, apply greases, products and special waxes, managing to get highly appreciated effects on their finished products.